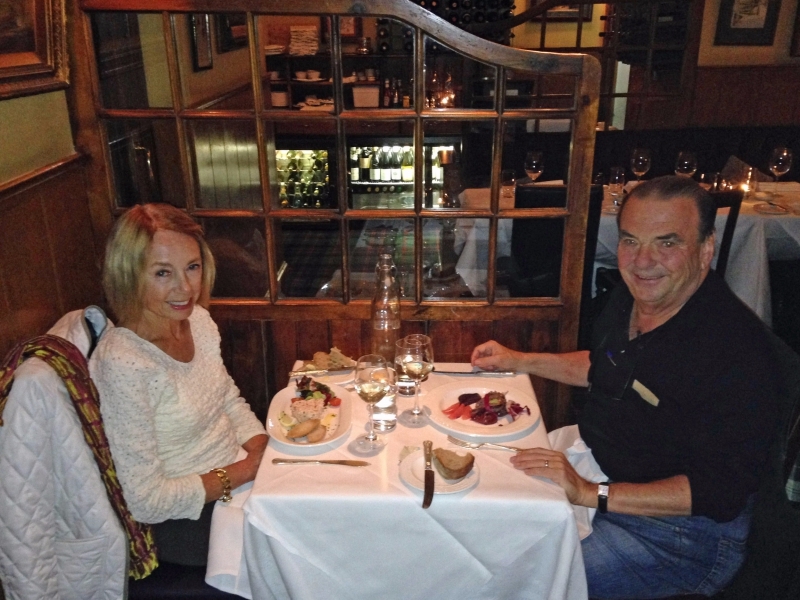 With our kids grown and out of the house, my wife Joanne and I have the incredible privilege of traveling the globe and dining in world capitals at restaurants that have some connective tissue to our restaurants here at Parasole. As I think about what we learn and discover interesting stuff, it seems to me that some of the information might be useful to fellow travelers, foodies, and Parasole regulars. We’re not much for Michelin 3 star-style restaurants (we no longer have the stamina), nor do we go for “down and dirty dives” (we no longer have the immune systems). Rather, we gravitate to the new and cool, to enduring icons, and pretty much anyplace else where inspiration can be found. My absolute favorite place to dine is London. 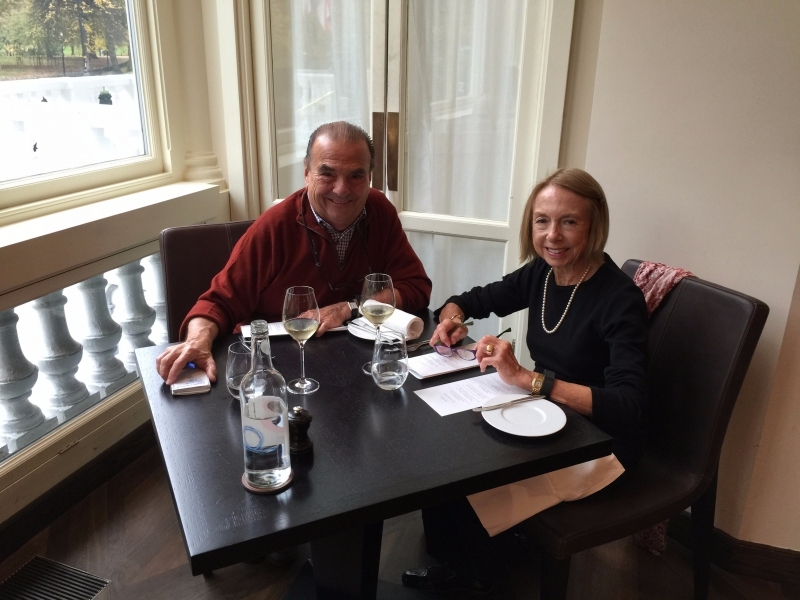 Ten years ago, I wouldn’t have said that, but over the past decade the dining scene has blossomed – in a big way! 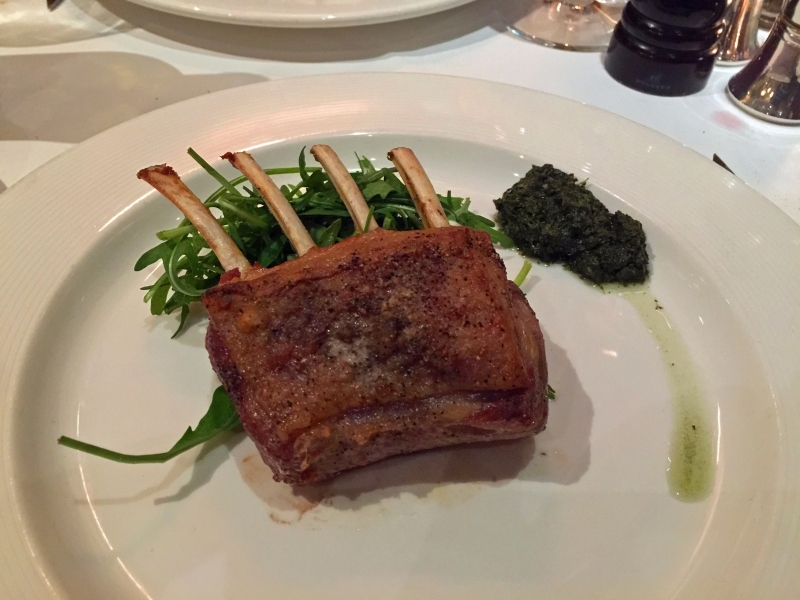 What I find interesting about dining in London is that restaurants there aren’t culinary slaves to British food. There’s a HUGE variety, reflecting an influx of culinary talent from France, India, China, Italy… all over the planet, as well as new and creative interpretations of British food. Table #22, "The Manager's Table"
As far as I’m concerned, The Guinea Grill is the essential London restaurant. This tiny steakhouse located in a Mayfair “mews” (think alley) specializes in dry-aged, Scotch beef. 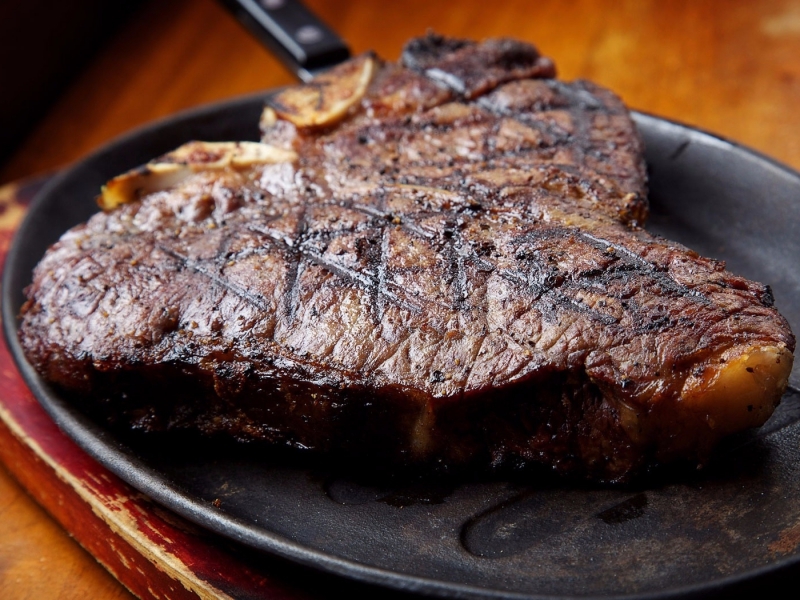 If you look at the steakhouse rankings, Hawksmoor usually comes out on top in London – and even on some “best in the world” lists (along with Manny’s). And Hawksmoor is really good. Just not as good as Guinea Grill. What sets this little steakhouse apart is its scale and ambiance: small, cozy, impeccably British. 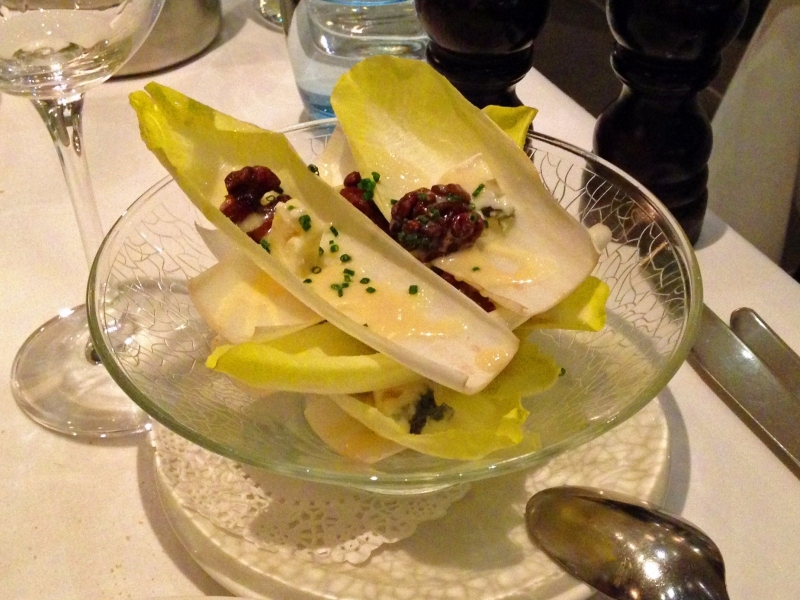 Hawksmoor could easily be in New York or Miami, with its expansive feel, sleek décor, and young, hip staff. 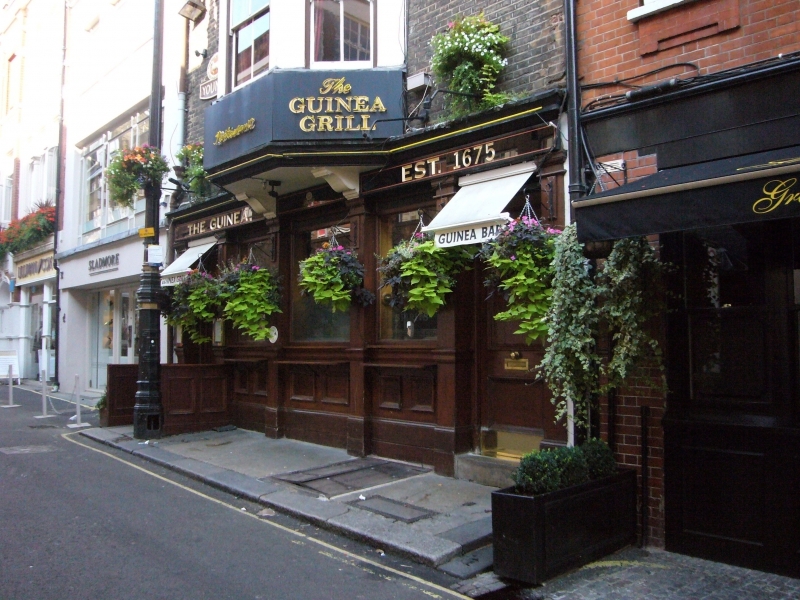 Guinea Grill’s staff are relics by comparison. Yet they look great in their black tie uniforms, and they couldn’t be friendlier or more knowledgeable. 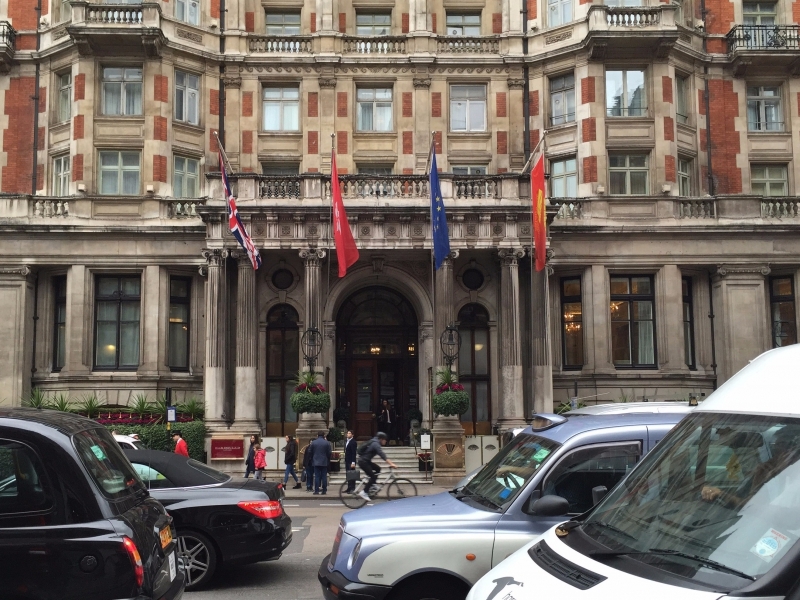 If you go, be advised that Guinea Grill can be crowded, so it’s a good idea to have the hotel concierge book you in advance. For a party of two, request table #22 (the Manager’s Table), which affords you a little more privacy than some other tables (Plus you’ll sound like a regular.) 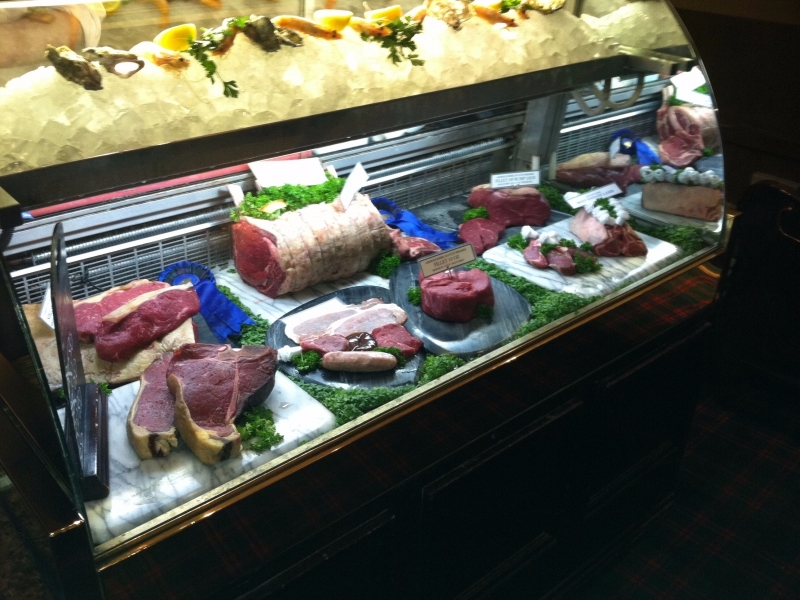 You can’t go wrong with the Scotch beef, or the lamb, or anything else – it’s all pedigreed and perfectly prepared. Expect to pay 75 to 90 British pounds per person including wine. 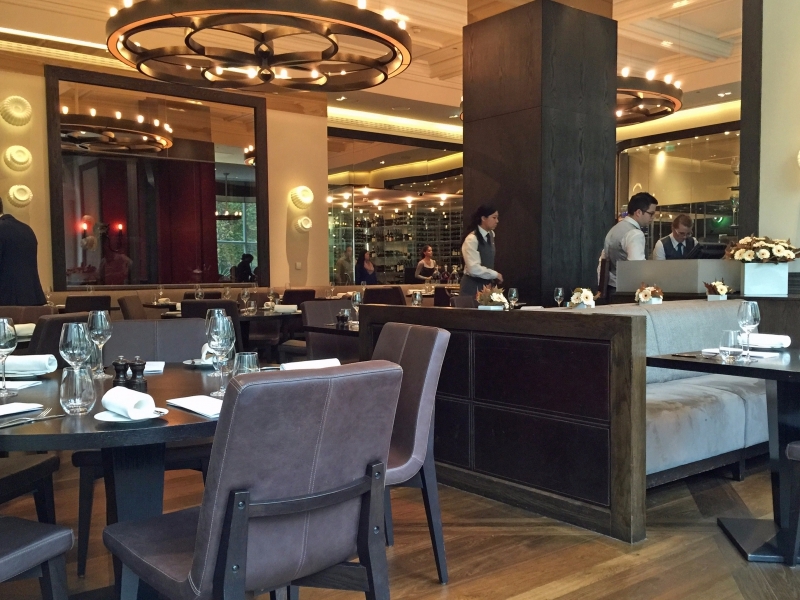 Table #24, "The Catbird Table"
Named one of the world’s top 50 restaurants, Dinner by Heston Blumenthal is a must. 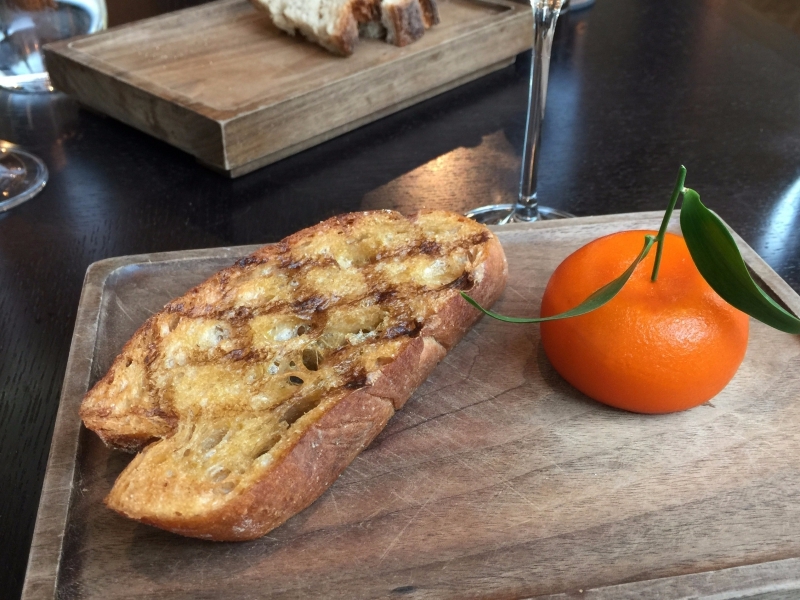 In fact, the only thing better than dinner is lunch at Heston Blumenthal, when you’ll pay just a fraction of the evening tariff. At 38 British pounds for the set lunch menu, it’s not cheap, but what a wonderful way to spend 2 or 3 hours on a rainy London day – especially if you can snare table #24 (the Catbird Seat), located in the corner with a complete view of the restaurant and, over your right shoulder, a view of Hyde Park. The restaurant bills itself as an “homage to the British past,” and I guess that’s true; the menu says that many of the recipes were developed centuries ago. 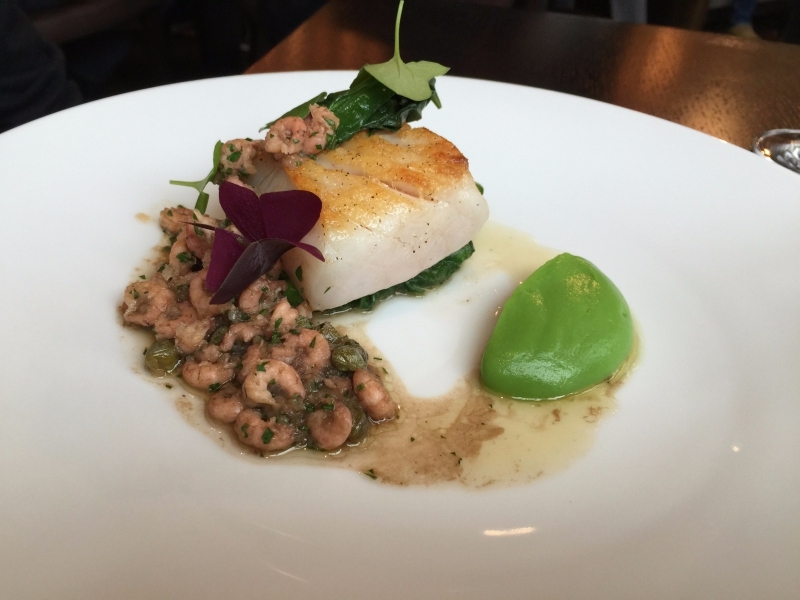 My entrée, roast pollack with shrimp, brown butter, pea purée and capers, dated back to 1830. 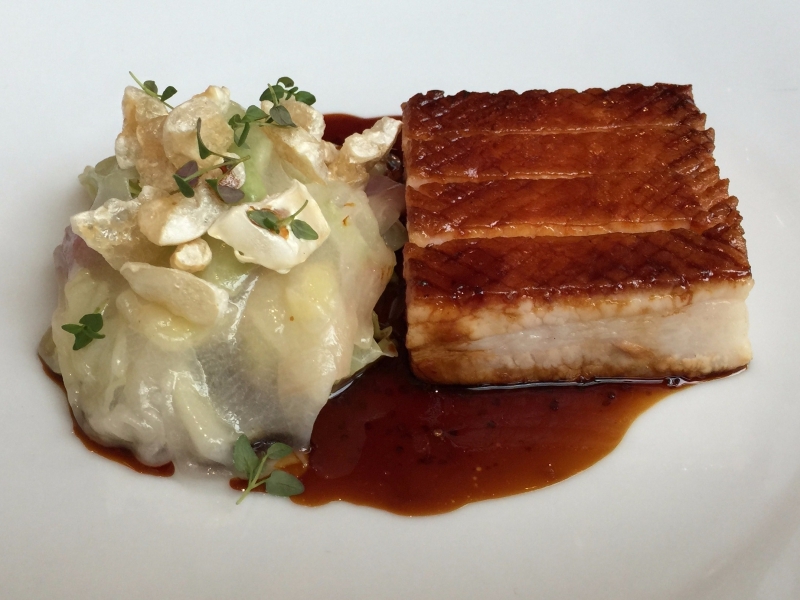 The pork belly (that I forced my wife to order) came with Hispi cabbage, onion, sauce Robert, puffa-puffa rice – and a pedigree from 1920. As venerable as the dishes themselves may be, plating and décor at Dinner by Heston Blumenthal are pure 21st century – inspired and witty, with a little molecular gastronomy tossed in. Sometimes you just have to laugh. Out loud. One more thing you MUST do at this restaurant: get the starter of “meat fruit,” a 17 British pound supplement that’s worth every farthing. I’ll tell you what it is later on down the road. You don’t have to try hard to find good fish and chips in London. From J. Sheekey to Sweetings and Scott’s, you can’t go wrong. 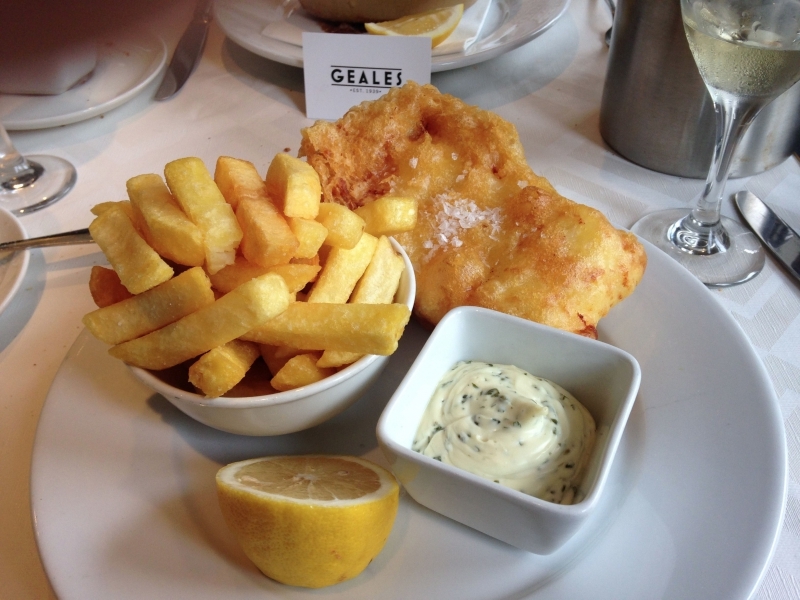 But there’s something extra right about Geales’ fish and chips. This Notting Hill restaurant has been around since 1939. By London standards, that’s middle aged, but still old enough to give it the feel of an institution or an icon. Whatever it is that gives this place its character, Geales just feels good. 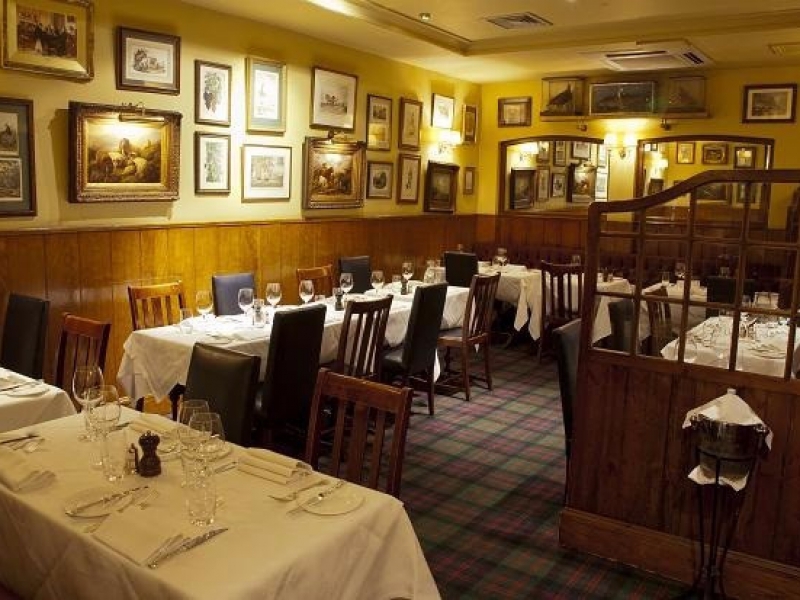 And the fish and chips – beer battered with your choice of pollock, cod, haddock, or sole – are nothing less than GREAT. All come with an order of “Proper Chips” – yes, that’s what they call their French fries. Tartar sauce is included as well. That and a pint – or a glass or three of wine – and you’ve got an outstanding lunch. 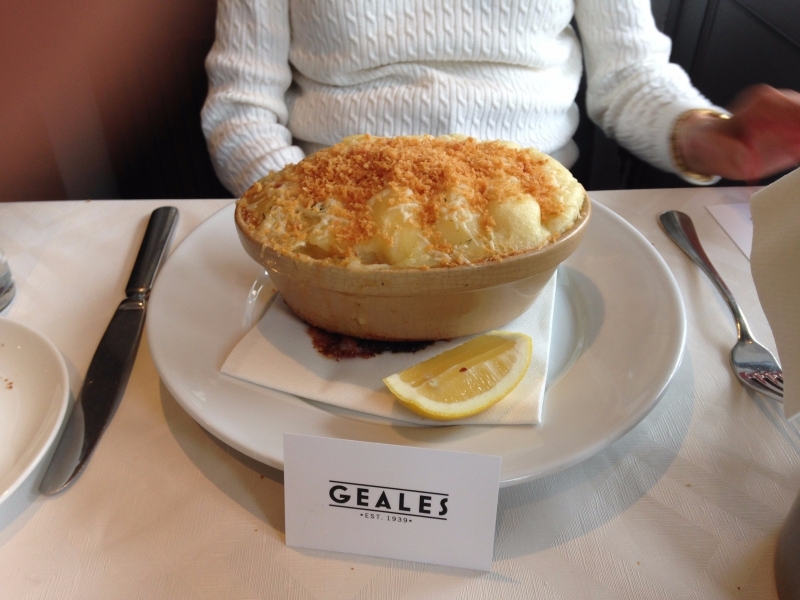 Know this, though: Geales has a lot to offer beyond fish and chips. 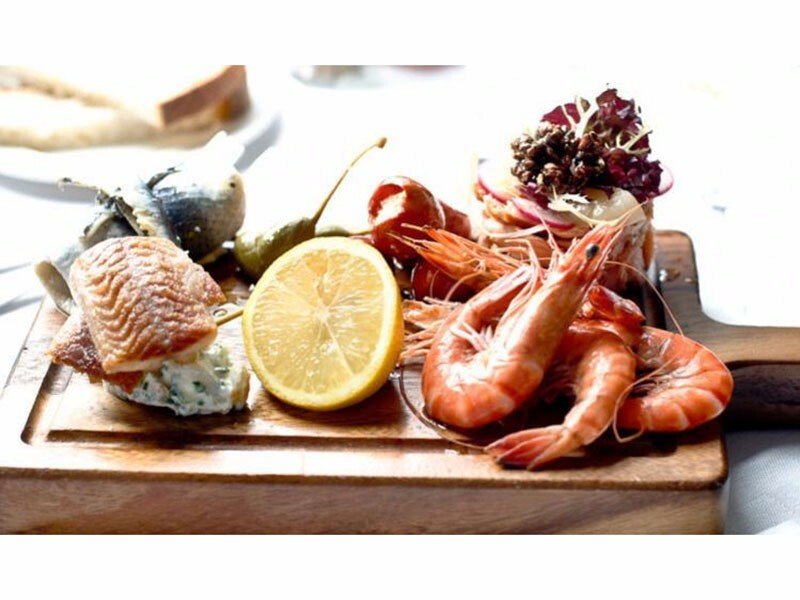 I love the seafood platter, for example, which includes whole lobster, squid, prawns and mussels. Offered for a minimum of two people at 24.50 British pounds each, it’s a bit of a splurge, but if you’re in the mood it’s money well spent. Ditto for the oysters, which are plump, fresh, and briny. 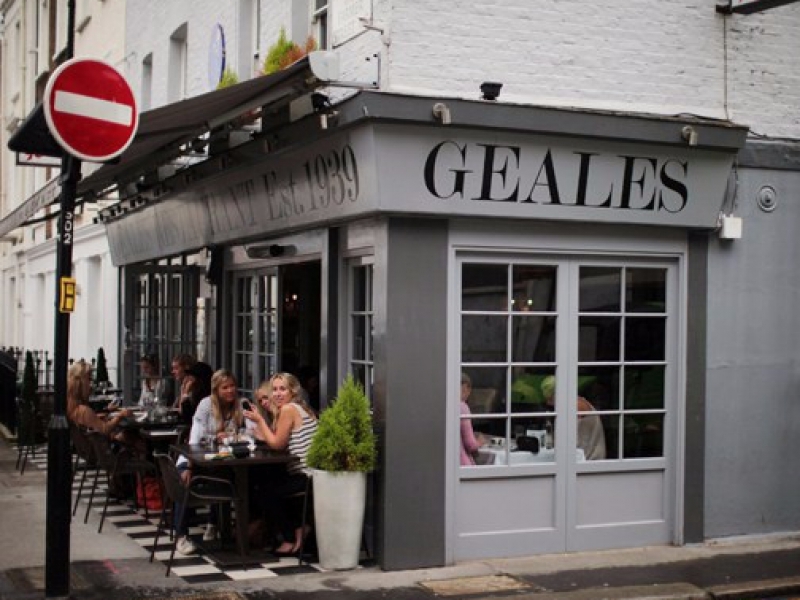 Notting Hill is a wonderful neighborhood for strolling, and there’s no better place to break for lunch than Geales. If the weather cooperates, sit outside. Otherwise, ask for table #20, right by the window. But right now, I’m thinking about what to send out next (besides the answer to the epic question: what the hell is “meat fruit”?). I thought about Argentina… Buenos Aires and the Mendoza wine country… but then I remembered that they’re coming into their winter season, and probably none of you are up for more winter. So we’ll save Argentina. Then Miami Beach occurred to me… I LOVE Miami Beach… So much talent, and so on the edge. But then again, they’re heading into their summer, and it ain’t pleasant. So we’ll save that, too. Then it hit me: Paris! Spring time in Paris, April in Paris. So stay tuned. You’re going to love what comes next – PROMISE! is written by means of him as no one else know such particular about my difficulty. folk’s attention? I mean So here goes… – WTF with Phil Roberts is kinda boring. get readers interested about everything’ve written. In my opinion, it could make your posts a little livelier.